ImageMeter helps you annotate your photos with measures and notes. No more strange sketches that nobody understands. Put the measures right into your photos where they belong. In fact, we know from our customers that there are far more applications of ImageMeter than we ever dreamed of. ImageMeter supports a very large number of laser distance meters (see the full list). 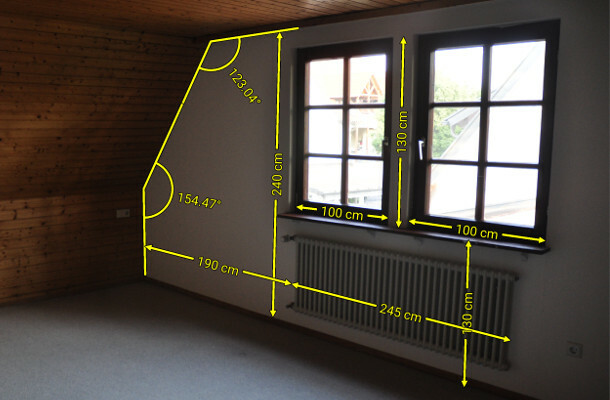 For example, a paper frame of known size is used as reference object. ImageMeter then calculates the stone's side lengths and area. ImageMeter supports any unit you will need and simplifies value entry with auto-completion and validation. 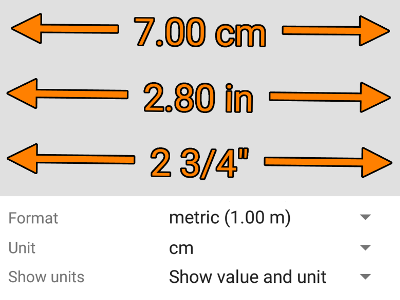 Measure lengths, area, angles, circles, rectangles, height points. Add text notes, freehand drawing, lines, ellipses. 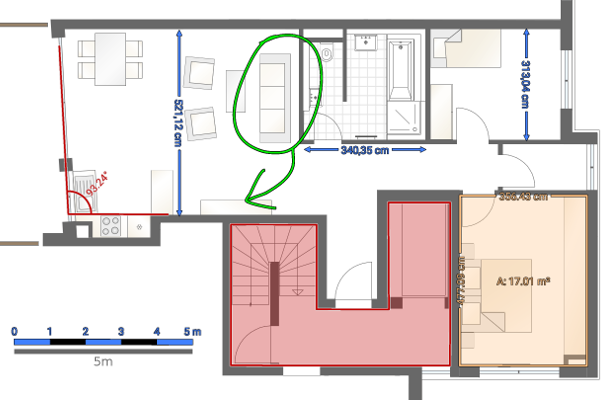 Change the style options: dotted and dashed lines, change line widths, font sizes, arrow caps and more. 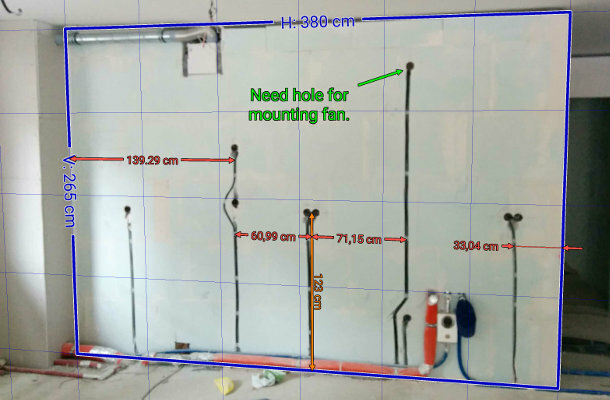 Calibrate your photos with a flexible selection of reference tools and then measure directly in the image. 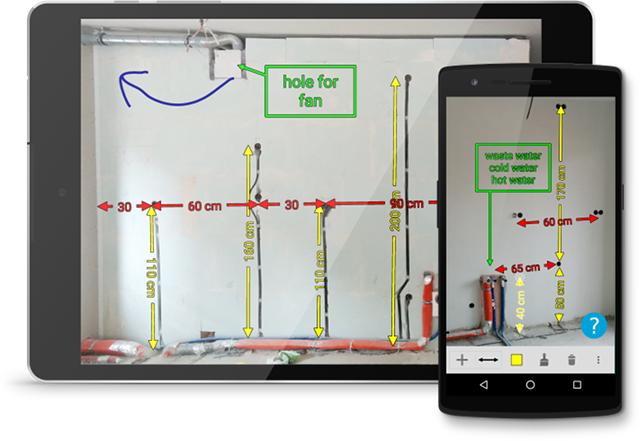 There are simple reference scales for 2D images like maps or floor-plans, perspective references when you need to measure in 3D space, or line-measuring tool, when you only need to measure a single object height or a distance. 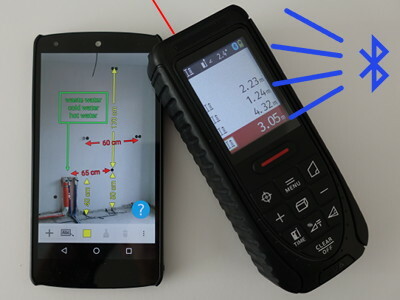 ImageMeter supports nearly all existing Bluetooth enabled laser-distance meters. 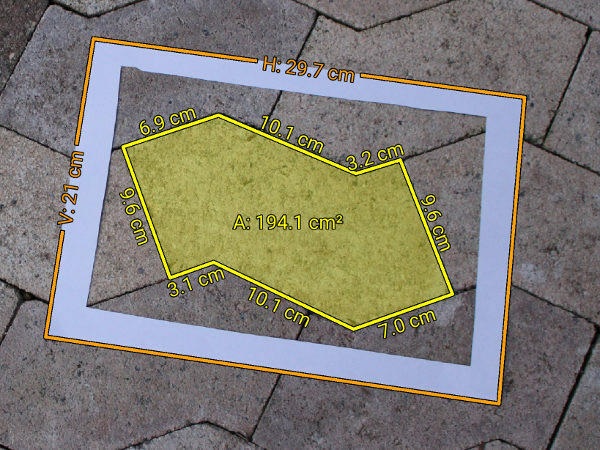 When supported by the device, ImageMeter also receives angle and area measurements, and uses the device's units. When you draw your annotations, the measures will snap automatically to other elements. The way they snap to each other depends on each measure type. Hence, snapping will occur exactly as it makes sense. Export images as JPEG or PNG. Export whole folders as PDFs or ZIPs. You can also export images and folders in editable format. ImageMeter not only supports you in measuring, it also provides excellent graphics quality to make your documents look professional. Configure the graphics style to your preferences. Please check on GooglePlay for the price in your local currency.